Monarch Air Group provides private air charter in Thousand Oaks, CA. Our clients benefit from top-notch service, unrelenting dedication to safety, wide selection of aircraft, and years of experience in chartering private jets. To obtain a free quote, please use our online quoting tool provided below, or call toll free 1-877-281-3051. Monarch Air Group provides private jet charter flights in and out of Thousand Oaks, California, USA. Named after the numerous oak trees that grace the area, Thousand Oaks is an industrial city in southwestern California, northwest of Los Angeles. The population of the city is 126,683 people. 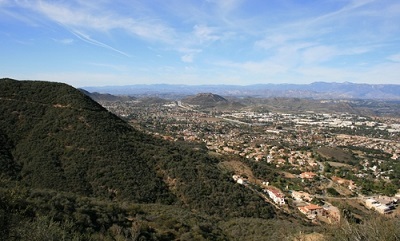 In 2006 Thousand Oaks was named by Money magazine as one of “Best Places to Live”. The city’s economy is mainly based on businesses, electronics, biotechnology, healthcare, automotive, telecommunications, aerospace, and financing. The most popular tourist attractions include Dawn’s Peak, Conejo Valley Botanical Garden, Thousand Oaks Civic Arts Center, Oaks Shopping Center, California Lutheran University, Wildwood Regional Park, Santa Monica Mountains National Recreation Area Visitor Center, and much more. The nearest airports are Bob Hope Airport (BUR / KBUR), which is located 32 miles from the center of Thousand Oaks, Los Angeles International Airport (LAX / KLAX), which is located 41 miles from the city, and Long Beach Airport (LGB / KLGB), which is located 58 miles from Thousand Oaks. 9. EMT, El Monte, El Monte, United States. 11. HHR, Hawthorne, Hawthorne, United States. 12. JBP, Commerce Bus. Plaza, Los Angeles, United States. 14. JGX, Heliport, Glendale, United States. 15. JID, City Of Industry H/P, Los Angeles, United States. 16. JLX, Union Station H/P, Los Angeles, United States. 17. JNP, Heliport, Newport Beach, United States. 18. JOR, The City Heliport, Orange, United States. 19. JPD, Heliport, Pasadena, United States. 20. JSN, Sherman Oaks H/P, Los Angeles, United States. 1. Westlake Village Inn, 31943 Agoura Road, Westlake Village. 2. Hertz Rent-A-Car – Four Seasons Westlake, 2 Dole Drive, Westlake Village. 3. Quality Inn & Suites, 12 Conejo Boulevard, Thousand Oaks. 4. Westlake Village Inn, 31943 Agoura Road, Westlake Village. 5. Hertz Rent-A-Car – Four Seasons Westlake, 2 Dole Drive, Westlake Village. 6. Quality Inn & Suites, 12 Conejo Boulevard, Thousand Oaks. 7. Westlake Village Inn, 31943 Agoura Road, Westlake Village. 8. Hertz Rent-A-Car – Four Seasons Westlake, 2 Dole Drive, Westlake Village. 9. Quality Inn & Suites, 12 Conejo Boulevard, Thousand Oaks.